The picture shows an 18th century family group at its music. The little boy at the keyboard who became a very great composer is Mozart. 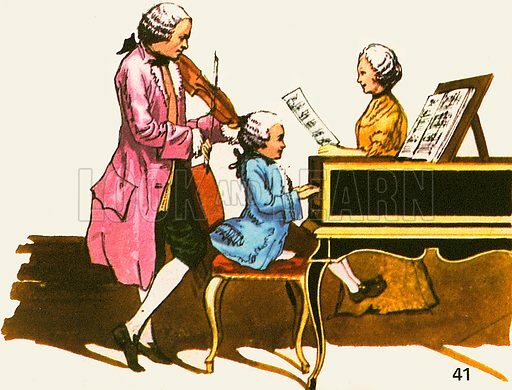 Wolfgang Amadeus Mozart (1756-1791) began learning the clavier and violin at the age of three. By five, he was composing his own music. Available worldwide for immediate download up to 4,580 x 3,493 pixels.